Having a baby is a very special time in your life. There are many changes that come with bringing up a little one in your home. 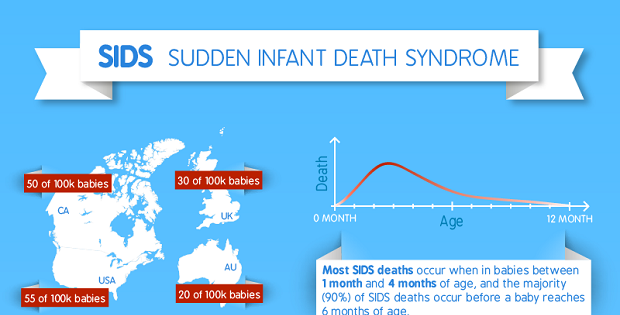 One of the most important things new parents worry about is the safety of their baby. Some parents choose to co-sleep with their children, but this is not advised because of the safety of the child is at risk. You can bring the baby in the room with you, but when you are a new parent your life totally changes. Instead of these, we highly suggest to find the best baby monitor that suites your needs, so you can have some personal time to yourself. So when you bring the baby in your room, you are giving up the one personal space in your house, not only for yourself but also for you and your partner. The best option for parents is choosing to use a baby monitor. There are many different ones to change from in today’s day and age. You can now purchase baby monitors with more than just audio to hear your baby when they cry. 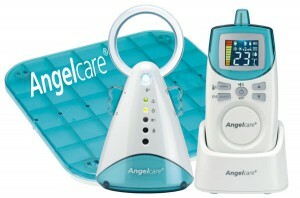 You can purchase baby monitors with lights, cameras, alarms, and tools to track their sleeping patterns and breathing. With so many options to choose from most parents feel overwhelmed when deciding which to purchase. We have done the searching for you and carefully picked the top three best baby monitors with everything you need in today’s modern times and some of them even does things you might not know you needed. So sit back and relax as we go through the details of these awesome baby monitors. 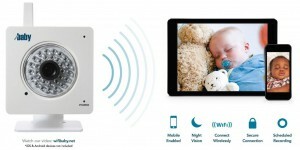 This Baby Monitor is the perfect baby monitor for every family, no matter what their needs may be. This revolutionary baby monitor is the best among other baby monitor options. 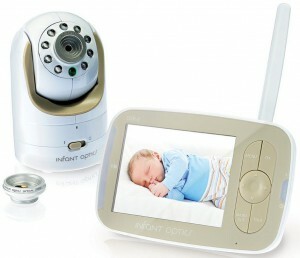 Here is a list of the features the Infant Optics Video Baby Monitor provides. 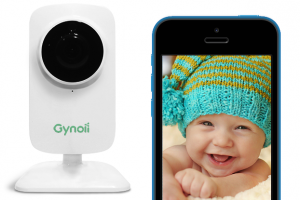 This is the first baby monitor to provide interchangeable lens technology. There are three different functions of the lens to choose from: Normal, wide angle, and zoom. 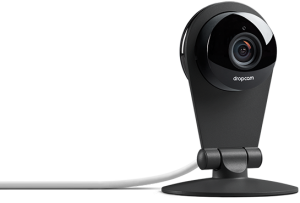 It provides everything just like a pro camera, allowing you to get the best angle to keep watch over your child. The video that it provides is in real time and streams it to a 3.5 inch full color LCD display screen, which gives you a beautiful image. The device has a long list of great features for more convenience: remote camera adjust, clear night vision, temperature sensor, talk-back function, and so on. This monitor is not a luxury but a necessity for today’s family and the modern day and age we live in. Think of it as an investment in your family and your child’s life. Normal Setting- The lens hood will provide you with a clear image of the room with nice coverage. This is perfect for everyday uses. Zoom Optical Lens- This setting is perfect for while baby sleeps. This is different from digital zoom, where the software makes the image to appear closer. With optical zoom it will not distort the image quality in any way. This will allow you to position the camera however far you would like from your baby, while still getting a close and clear image. Wide Angle Lens- This allows you to see the entire room, so that you don’t miss anything. This is perfect for active babies and toddlers, because they can explore and play without you having to stay in the room with them. Simply sit the camera in the room and take the receiver with you into another part of the house. This will allow you to do work around the house and let the kids play at the same time. 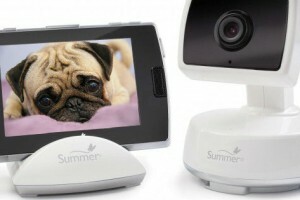 The display screen shows real-time video footage and sound from your child’s room. 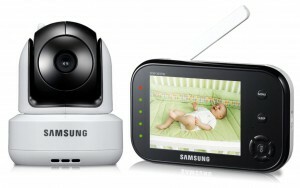 It also has an automatic infrared night vision feature that will ensure you see your baby during the night. The display device also features a room temperature indicator, lights that go off anytime sound is picked up on the monitor. When you turn the volume down, you can keep watch by the LED lights whenever sounds are picked up. This gadget provides you with the convenience of using a remote control to control the cameras view. This is perfect for when your children are playing and moving around in their room. You can pan and tilt the camera without having to disturb your child. This monitor will be sure to provide you with the best reliable transmissions all parents need. The talk-back features two-way audio, much like a walkie talkie, but without all the loud beeping that comes along with them. The retractable antenna provides you with a 700 feet range while there is nothing obstructing the antenna. Don’t worry about anymore dropped signals and enjoy wonderful range. This awesome baby monitor also includes volume and brightness controls, a function to set an alarm, it lets you know when the monitor is out of range, warns you when the battery is low, and lets you know how much battery life is left. The DXR-8 provides a long-lasting battery life with up to 10 hours while in power-saving mode, and 6 hours while the screen is constantly running. You can also use the DXR-8 with other security cameras in your home. You can link the DXR-8 with other wireless camera security in your home. It has a scan feature that will automatically cycle through other cameras in 12 second intervals. This will provide the ultimate home security experience. So there you have it! This is truly the best baby monitor on the market and will give you and your family everything you need for safety. It took a while to find the perfect one, but we love our readers so much that we kept on searching. I know you will enjoy your new baby monitor! 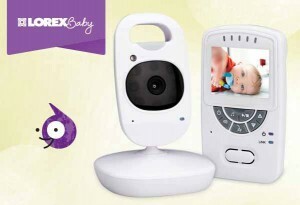 The second best baby monitor, the Lorex Sweet Peek Video Monitor packs a lot of features into its compact white camera and LCD screen unit, so you can safely monitor your baby in the the other room. The video screen unit is portable and can be easily attached to your belt or pocket, so you aren’t stuck carrying a bulky unit around the house. The Lorex comes with all the features you expect in a baby monitor, including crisp full color 2.4” screen, crystal clear sound with two-way talk, and clear night vision. Searching around trying to find a baby monitor with a LCD screen unit that lasts more than four hours has been an exercise in frustration. What’s the point of having the device die in the middle of the night, when most parents try to get at least eight hours of sleep? Fortunately, the LCD screen unit can hold a charge for up to eight hours, which is great news for parents who want to get a full night’s rest, without having to worry about whether their unit needs to be recharged or not. This feature alone makes the Lorex monitor worth buying, though there are some other nifty features as well. There are some fun features on this device, that aren’t available in some of the other baby monitors that available in a similar price range. The Lorex comes with a built-in nightlight, to give baby some security after dark. It’s also handy when parents wish to sneak a real peek at baby during the night, but don’t want to turn on the overhead lights. The other fun feature is that the device also plays classic lullabies, to lull baby to sleep, especially if your own singing voice is too grating too soothe them. This baby monitor has been noted to drop out of range at times in older homes with thicker walls. Fortunately when that happens, it will beep to alert you, so you can move the device back into range. The specs report that you should be able to take your portable gadget outside the house, but the unit doesn’t seem to work as far as the 450 feet that the packaging says. I think this monitor may be best suited to new houses, condo or apartment living, rather than old heritage homes where the walls are super-thick. For the wide variety of features, the Lorex Video Monitor is affordably priced. This monitor accommodates up to four video cameras, so it can grow with your family. You can buy additional cameras, rather than having to buy a whole new monitor for each additional family member. This gadget comes with a wireless camera, a rechargeable full color LCD screen unit, two power adaptors, one wall mounting kit, and a manual. Not all baby monitors come with a wall mounting kit, so it’s great to be saved a trip to the hardware store. When you’re looking to get several features with your baby monitor at a reasonable price, the Lorex Sweet Peek Video Monitor is definitely worth checking out. You’ll sleep better at night, knowing that the safety and well-being of your baby is being covered. When it comes to baby monitors, one of the most popular and trusted brands is Philips Avent. And there are two general types of infant monitor the brand offers; audio monitors and the more sophisticated video monitors. The following subsections focus on the baby monitor review of the audio types particularly its latest model, the DECT SCD570/10 Baby Monitor with Temperature Sensor and Night Mode. DECT Technology. All Philips Avent baby monitors are equipped with DECT or digital enhanced cordless telecommunication technology. With DECT, it simply means that the connection between the monitor and the parent unit will be stable and can’t be affected by any external radio or mobile phone signal. Sound, vibration, and light alert. The monitor alerts the parent in three ways; the basic radio sound, vibration similar to a mobile phone, and the light alert or indicator for the parent unit when it is muted. Temperature sensor. 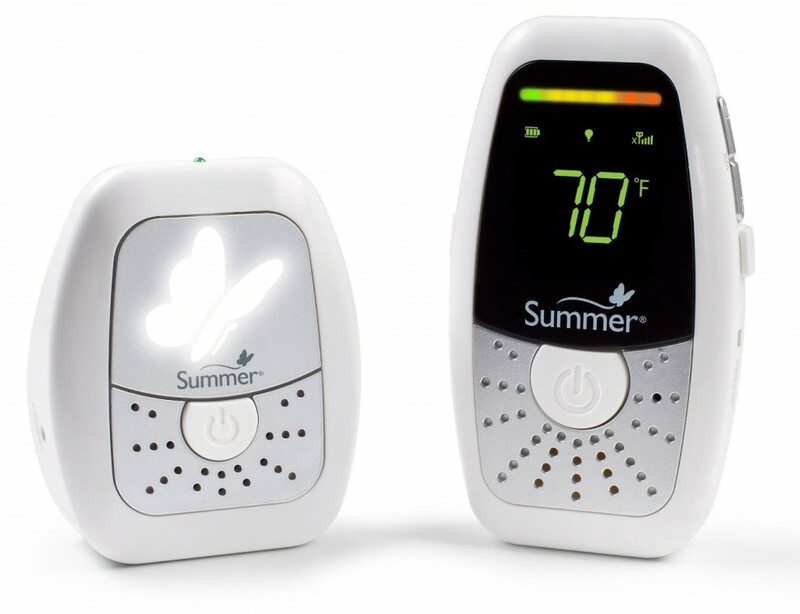 The infant monitor is also equipped with a digital thermometer that would tell the current room temperature that is crucial to the baby’s comfortable sleep. Dimmed light and the melodies for the night mode. With the night mode, you can switch on a dim light and play recorded lullabies to induce sleep. Choice of sound intensity to monitor. With this model, the parent can choose what to hear and when to receive alerts by choosing the sound level produced inside the room. Longer range of connection. Among all baby monitors, this model offers one of the best ranges. When used indoors, the promised range is 50 meters while when used outdoors it is stretched up to 330 meters. Consistent connection is monitored through the “link” light indicator. Multiple energy saving modes. The device saves energy in two ways. When the receiver or parent unit is closer to the monitor, the energy used in transmission is reduced. Additionally, it’s always on a “standby” mode while it is idle or until the level of sound set is detected and transmitted. It’s a good brand. It’s ideal to choose this brand because Philips Avent itself is a good brand. Any baby monitor review will confirm that the brand’s monitors are durable, reliable, and were ensured to be built with quality. Going with the top brands is always a safe bet when shopping especially for safety items for your baby. Unique and attractive design. Compared to all other baby monitors, this model boasts its modern, sleek, and attractive design. This lets you comfortably wear the receiver or parent unit even outdoors. Two-way radio communication with quality sound. Another good thing about this device is that it permits two-way communication between the parent and the child. It’s a perfect time-saver when the baby only wants to be reassured by hearing the parent’s voice. More functions for better control. The SCD570/10 infant monitor offers multiple functions that would help parents customize or set the monitor according to their own or their baby’s needs. Temperature readings are important. An important feature that this monitor has captured is the ability to read and monitor temperatures. Check any baby monitor review and you will learn that keeping room temperature within the ideal or comfortable range helps induce and maintain sleep, as well as providing that feeling of a good night rest. This does not only apply to babies but to adults as well. On the other hand, there are few noted drawbacks or the disadvantages of this particular brand and model. According to some parents, the quality of sound on the parent unit or receiver is great but on the monitor or baby’s side, it’s just on the average. The LCD display is also comparable to the displays of old cellular phone models where it is very basic, small, and quite dim or the contrast is not that good. The battery charging time of this infant monitor at 10 hours is quite lengthy for its useful hours of 18 hours. 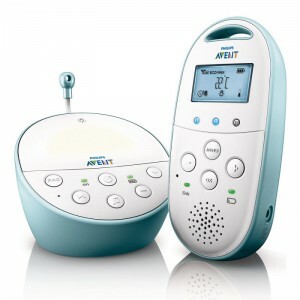 And finally, this model is the most expensive among Philip Avent’s audio baby monitors. In conclusion, choosing the best baby monitor system is a priority. When you choose the Infant Optics Video Baby Monitor with Interchangeable Optical Lens, you can be sure that your child will be safe and in the comfort of your home.